OK, we have teamed up with EA Sports and their PR people to offer our readers a once in a lifetime opportunity. Wayne Rooney is the UK face of FIFA 11, he may be having a tough time of late, but 99.9% of managers around the world would put him in their starting 11. 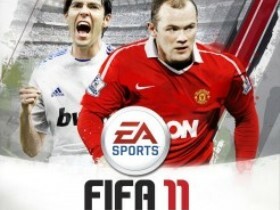 This is your chance to play the man himself at a game of FIFA 11. So what do you need to do? Well when you are next playing football, whether it be Sunday League, 5-a-side or in the park. Score a goal and create a goal celebration with your team mates. BUT the celebration has to involve sitting down. Once you have done that (and recorded it obviously) upload your video to YouTube / Vimeo or whatever (if you struggle let us know and we will help), paste the link in our comments below.